Founded in 1749 and named for a large estate owned by Captain Philip Alexander, the City of Alexandria has played a part in the history of Washington from the start. In fact, Alexandria was included in the area selected by George Washington for the District of Columbia and remained a part of DC until 1846. 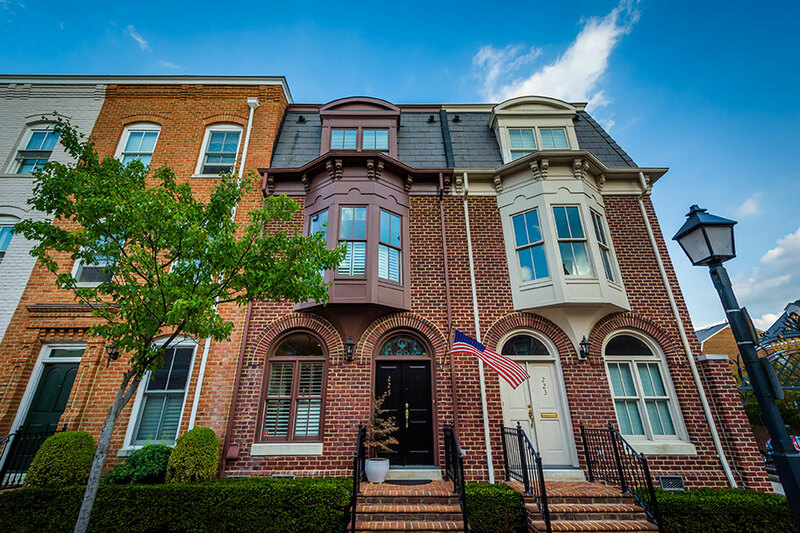 That area of Alexandria is today known as Old Town and its quaint streets are lined with Federal, Colonial and Victorian style townhouses, many of which have been converted to luxury condominiums. Landmarks include the Lee-Fendall House, the boyhood home of Robert E. Lee, Gadsby’s Tavern, the Stabler-Leadbetter Apothecary Shop, and the Torpedo Factory Art Studio complex and adjacent loft condominiums. Old Town Alexandria is largely residential and includes Mark Warner, James Carville and Mary Matalin as residents. In addition to townhouse and loft conversions, there are abundant high-rise luxury condominiums including Alexandria House, Carlyle Towers, Duke Condominium and Harbourside and Porto Vecchio on the Potomac waterfront. Throughout Old Town, you will find a diverse assembly of restaurants, lounges and coffee shops, as well as shops and studios catering to every taste and whim. Stores include fine glassware retailer The Hour Shop, Decorium Gift and Home, the Torpedo Factory galleries and the landmark Farmers Market, open year ‘round. For fashion, there’s everything from Banana Republic and the Shoe Hive to Diva Consignment Boutique and Montague and Son. Coffee shops include Misha’s and Perk Up, as well as Starbucks. For nightlife, Tiffany Tavern, Murphy’s and Austin Grill are welcome establishments. Alexandria is served by the Metro’s King Street stop on the Blue Line. Interested In Owning An Alexandria Penthouse Or Luxury Condominium?